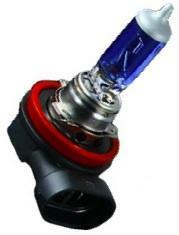 Lose those boring factory fog light bulbs and upgrade to PIAA’s High Performance Bulbs. Plasma Ion Yellow – PIAA’s patented Ion Crystal Technology puts out an amber/yellow light that is less reflective than white light, thus greatly reducing the amount of glare in extreme inclement weather conditions. Xtreme White – With a brilliant Xtreme cool white beam you will be able to see road hazards and signs long before they would be seen with normal bulbs.